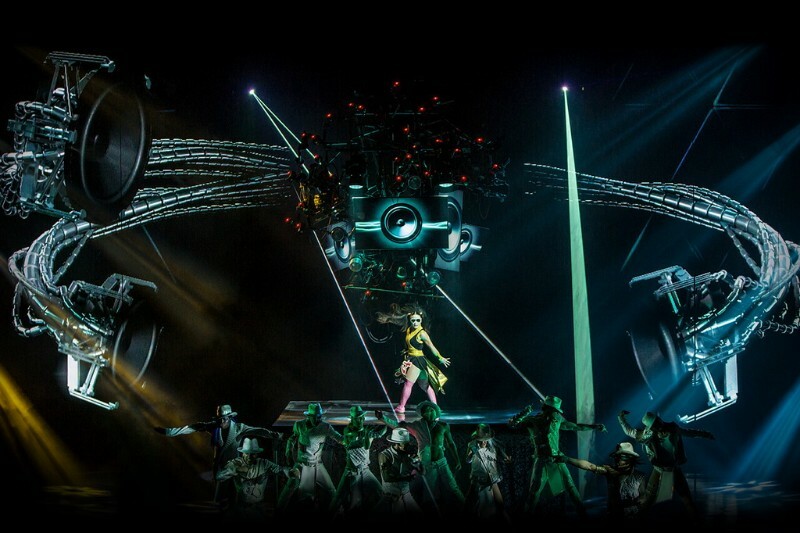 Hailed by Rolling Stone as “A virtual parade of ‘wow’ moments,” Michael Jackson ONE is an electrifying fusion of acrobatics, dance, and visuals that reflect the dynamic showmanship of the King of Pop, immersing the audience into the world of Michael’s music. 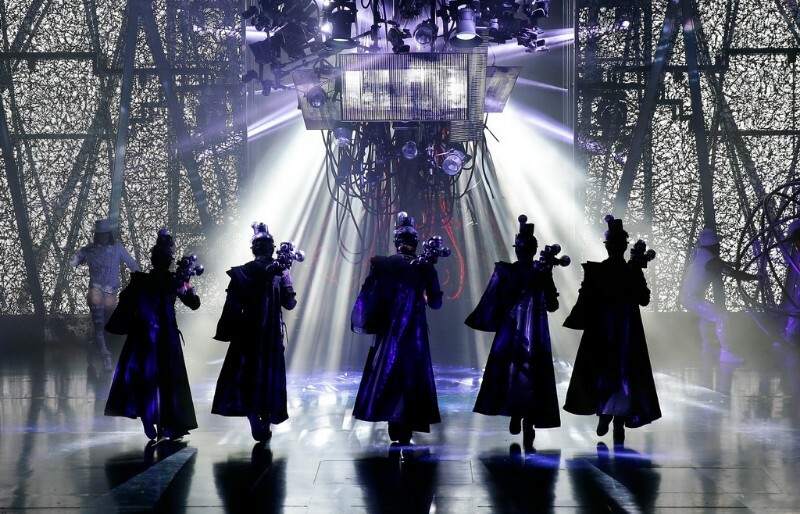 Driven by his biggest hits heard like never before in a riveting, state-of-the-art surround-sound environment, Michael Jackson ONE by Cirque du Soleil takes the audience through a seamless visual and musical montage, at the heart of a world that is in turn majestic, playful, magical and heart-warming. 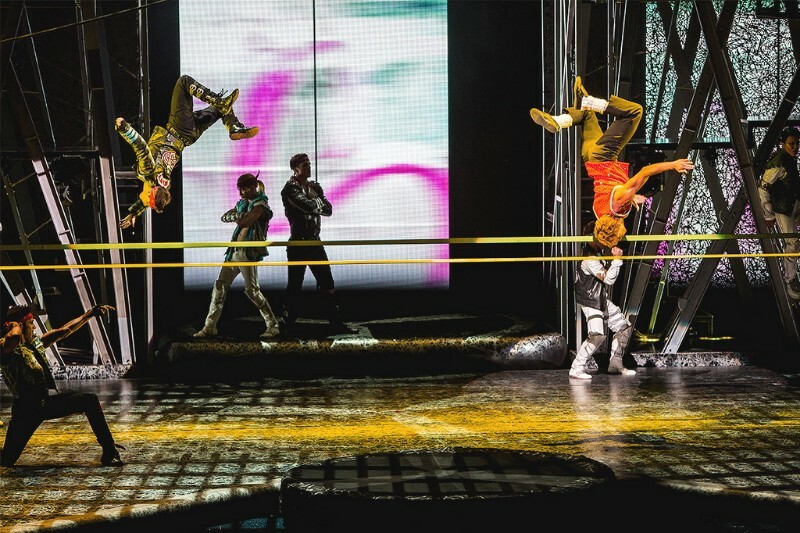 In Michael Jackson ONE, Michael’s spirit is channeled through the vibrant energy of the cast of 63 dancers and performers, underscored by aerial performance, driving acrobatics, and vivid choreographies that use the urban/hip hop idiom as a springboard for exploration. 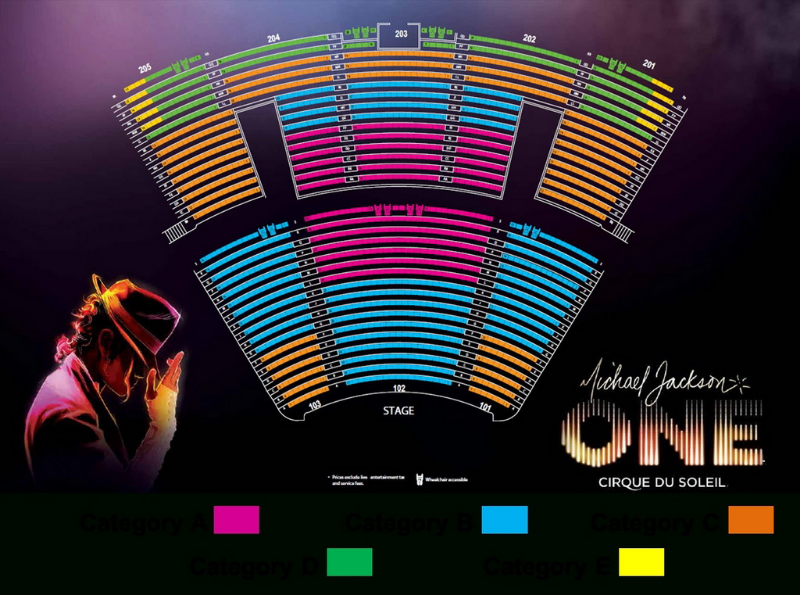 ONE is a heartfelt tribute to the work, innovative spirit, and legacy of Michael Jackson – the King of Pop, the genius, the visionary, the ONE. 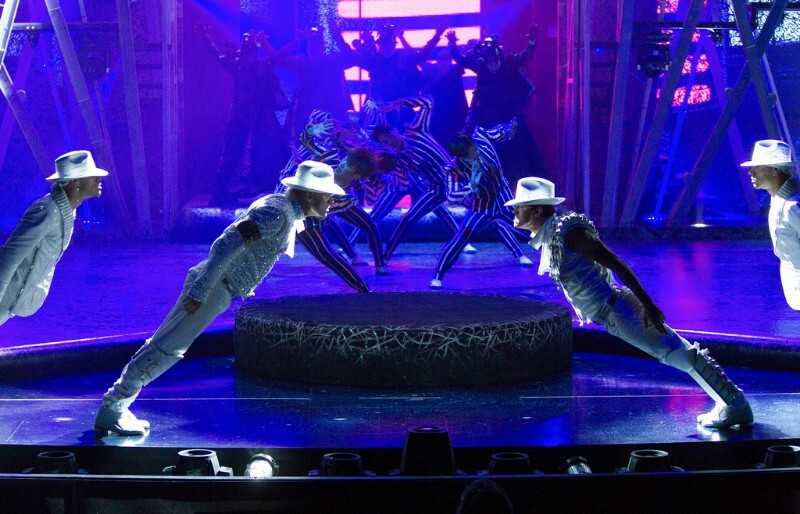 “Dirty Diana” was historically a solo performed by Michael, but is now an incredible production number in Michael Jackson ONE. Mythical music that remains as poignant and relevant today as when it first took audiences by storm. 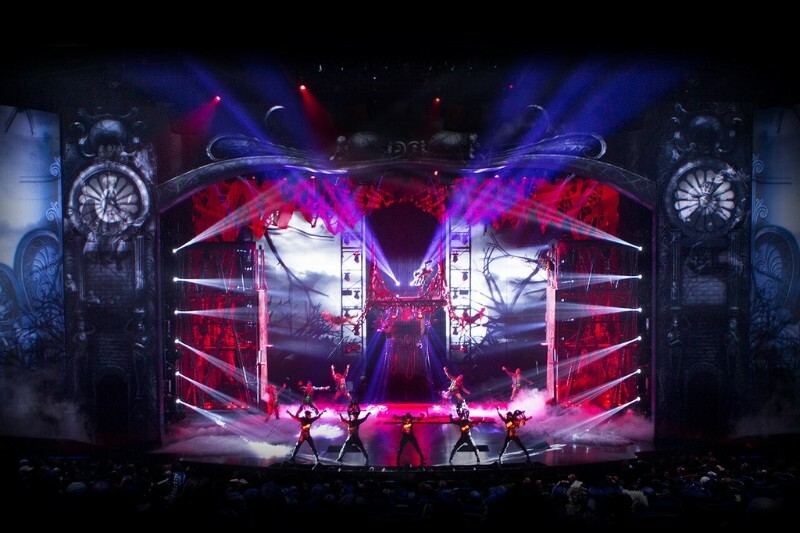 There are over 550 lighting fixtures, almost 300 custom LED fixtures built into the show’s various set pieces, 26 projectors, 11 TV monitors, and a 40-ft-wide, 30-ft-high LED wall. 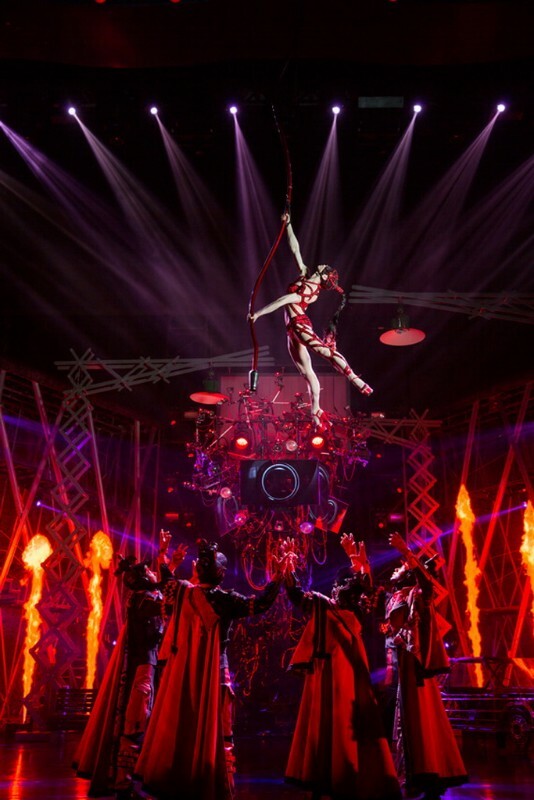 Each of the theatre’s 1,804 seats has three speakers – left, right and center – for a total of 5,412 seat speakers. 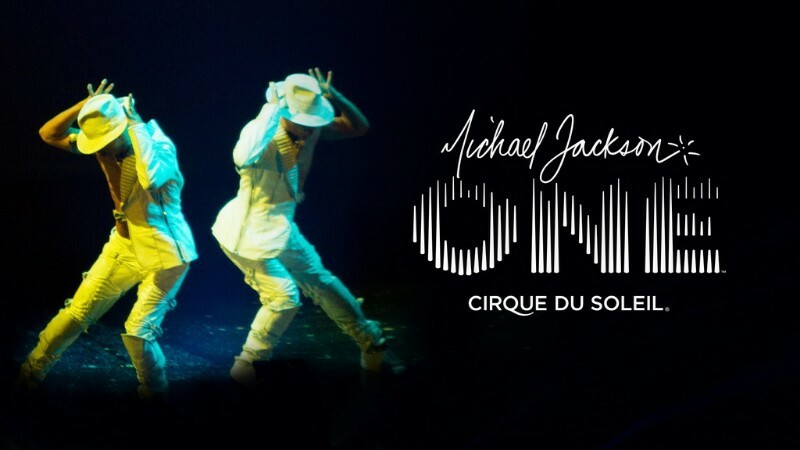 Michael Jackson ONE by Cirque du Soleil performs exclusively at Mandalay Bay Resort and Casino in Las Vegas.